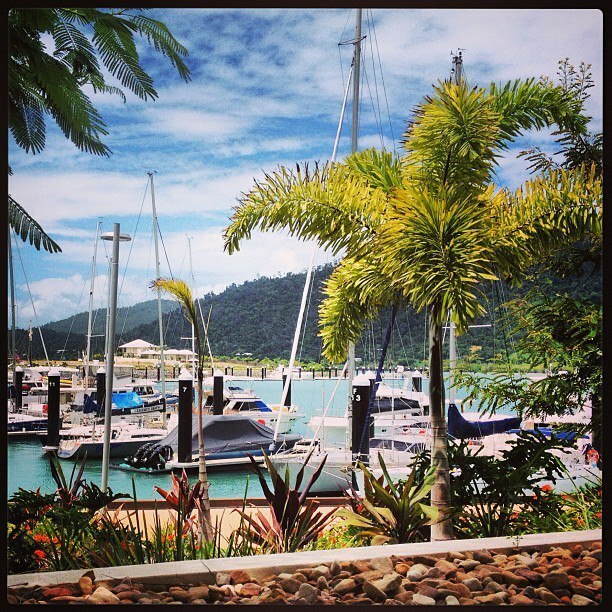 Take a trip to the mainland to explore the wonderful Airlie Beach township. 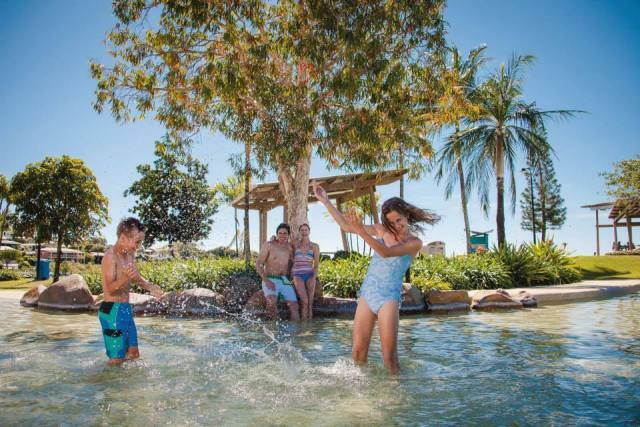 There is lots to see and do for people of all ages! 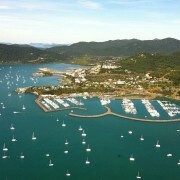 Cruise Whitsundays ferries depart at regular intervals from all islands and to arrive at Airlie Beach. 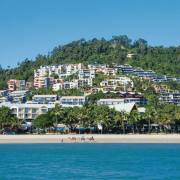 Airlie is small and easy to find your way around with the town stretching along one main street and the foreshore park behind the shops. 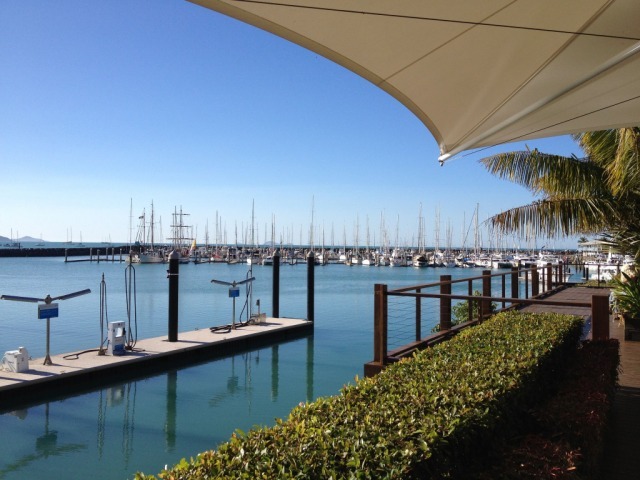 Spend a relaxing day in the resort town. The main street has numerous outlets, boutiques and shops. 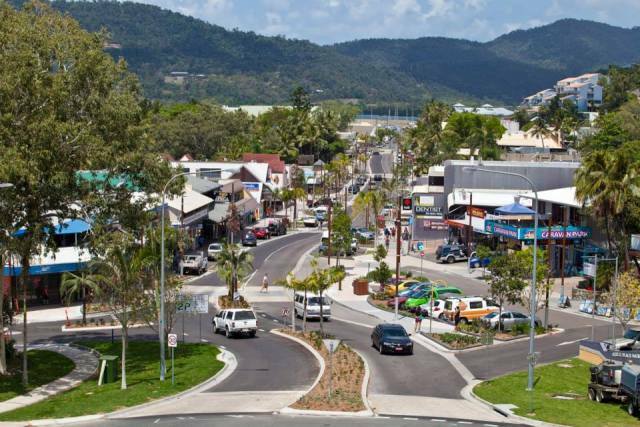 Saturday is Market Day in Airlie Beach with an interesting variety of stalls (7am to 1pm). 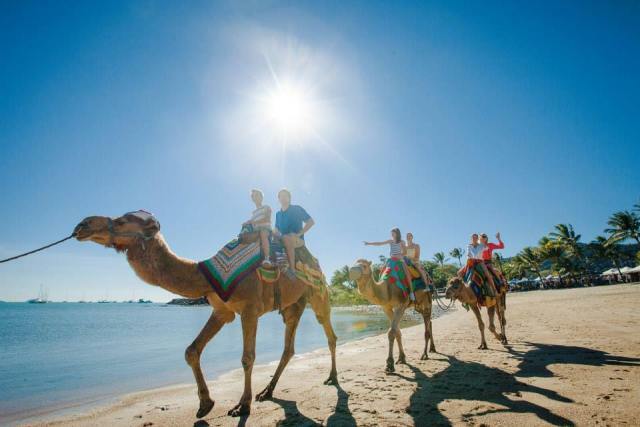 Even take a Camel ride along the foreshore! 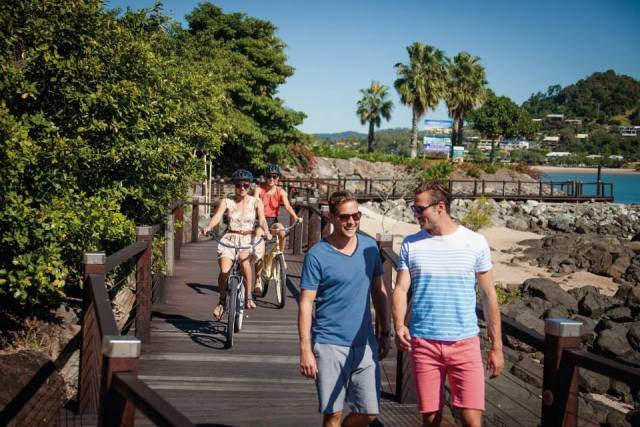 Rent a car, moke or scooter… and go exploring. Maybe Cedar Creek falls or lunch at the Dingo Beach pub! Amble along the foreshore boardwalk.